Dr. Jon Ark named Chairman of Othopaedics at University Medical Center of Princeton at Plainsboro - Princeton Orthopaedic Associates, P.A. Dr. Jon Ark has been elected Chairman of the Department of Orthopaedic Surgery at University Medical Center of Princeton at Plainsboro. Dr Ark is now Chairman of the newly formed Department of Orthopaedic Surgery. The Department was created when Princeton HealthCare System merged with the University of Pennsylvania Health System. Dr. Ark graduated with honors from Duke University with a Bachelor of Science in Engineering and Biomedical and Electrical Engineering. He subsequently went to medical school at UMDNJ-Robert Wood Johnson, where he received his medical degree. He served his surgical internship and orthopaedic training at Columbia Presbyterian Medical Center in New York. Upon completion of his orthopaedic residency, he served as a Harvard/Mass General Hospital Hand Fellow. He then served as a volunteer for Orthopaedics Overseas, assisting in China for 2 months. Dr. Ark then entered a private practice in Raleigh, North Carolina for 2 years. During that time, he also served as an instructor in orthopaedic surgery for the University on North Carolina at Chapel Hill Medical School. Dr. Ark obtained additional training and specialized in Foot and Ankle surgery at Thomas Jefferson University Hospital in Philadelphia, Pennsylvania. Completing the training, he joined Princeton Orthopaedic Associates in 1995, where he specializes in Hand Surgery as well as Foot and Ankle Surgery. Dr. Ark is a Board Certified surgeon, with the Certificate of Added Qualification in Hand Surgery. 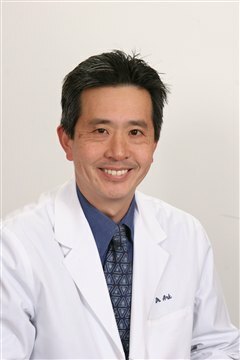 He is also an active member of American Academy of Orthopaedic Surgeons, American Society for Surgery of the Hand, and the American Orthopaedic Foot and Ankle Society.